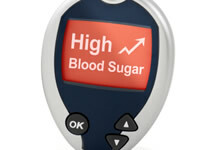 Hyperglycemia, or high blood sugar, is common amongst diabetics. It occurs when a diabetic person eats too much food, and has too little insulin to regulate their blood sugar. Sometimes stress can cause diabetes. Hypoglycemia, or low blood sugar, occurs when a diabetic has not eaten enough food, or has too much insulin within his or her body. An excessive amount of exercise can also cause low blood sugar levels. Why do these symptoms matter for diabetics? These symptoms are essential for diabetics to understand, because they may encounter high or low blood sugar levels from time to time. A cold or virus can cause sudden high blood sugar levels, and understand the symptoms means knowing how to deal with hyperglycemia or hypoglycemia. People with diabetes who can recognise the symptoms can avoid levels that lead to medical emergencies such as diabetic ketoacidosis. Once you understand symptoms of high and low blood sugar, it is possible to test quickly and avoid serious problems. Keeping to a clear target range is one of the key goals of diabetes management, and knowing when you have the symptoms of high or low blood sugar levels allows you to test your blood sugar and make a correction. It can be important to recognise the difference between low and high blood sugar symptoms. Being able to spot when you’re high or low and sugar can help you to manage your diabetes. Where possible, it’s best to check with your blood glucose meter, whether you are high or low, before taking any remedial action. If blood sugar is regularly high you may get recurrent episodes of thrush. High blood sugar is serious and can result in nausea, vomiting or loss of consciousness. In type 2 diabetes, this can in the form of a condition called Hyperosmolar Hyperglycaemic State and in type 1 diabetes in the form of ketoacidosis. It is important to seek emergency medical help. Very low blood sugar can lead to convulsions and unconsciousness. It is important to seek emergency help if the person with diabetes is unable to bring their sugar levels back to normal. The University of Birmingham’s Medical School states that if the body becomes used to being low on sugar, hypo symptoms can become less noticeable. Loss of symptoms of low blood sugar in particular can be dangerous. If you have difficulty recognising the symptoms of hypoglycemia, speak to your doctor. Download a FREE symptoms chart for your phone, desktop or as a printout.